A special collection related to Boutros Boutros Ghali is digitized but not published yet. The collection includes various documents related to the positions occupied by Boutros Ghali as: 1. The Egyptian Minister of State for Foreign Affairs from 1977 till early 1991. This group includes important documents pertaining to Egyptian foreign affairs, such as the Arab-Israeli conflict, the Camp David accords and Egypt’s role in the African and Arab region. 2. The Secretary-General of the United Nations from January 1992 to December 1996. The BA has obtained the documents of his Excellency’s meeting notes for the years 1993, 1994, and 1996. 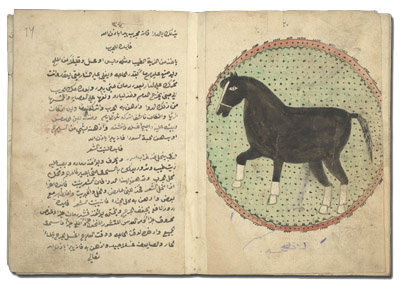 This project comprises a unique online resource of a collection of Arabic manuscripts related to classical medicine. It represents a significant resource for a wide range of researchers including Islamic studies scholars, medical historians, and manuscript conservators to aid and enhance their work. Owing to its exceptional expertise in digitization, and in accordance with the Bibliotheca Alexandrina (BA) mission to preserve the heritage for future generations in digital form, the Egyptian Ministry of Finance approached the BA in 2009, in order to digitize a selection of documents at Dar Al-Mahfouzat, and provide online access to the digitized documents based on access levels. This initiative is carried out by the Information and Communication Technology (ICT) Sector and the Special Projects Department at the BA in collaboration with the Egyptian Ministry of Finance.